The pit is now closing with one last face to be won out and is due to finish in May with the capping of the drift and ventilation shafts in August. 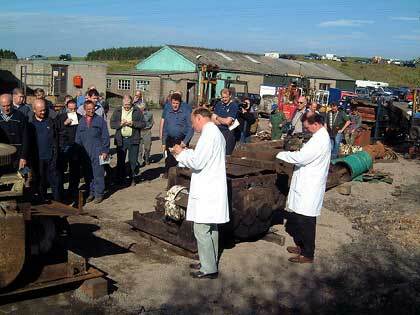 Blenkinsopp had its auction on Monday 30th September, a lot of people were there and not all buying stuff but what a day. It was a lovely sunny day, very warm, which is unusual for these parts. It was a good job the CAT loading shovel had made more than expected or it could have been worse. Funnily the buyer of the CAT immediately sold it on for £2000 more than what he had paid. A nice little profit! I brought the wagon we used to run about in for £200. Not sure what I am going to do with it!! Wrytree and the Castle have now been given back to the landowners so now it's final. 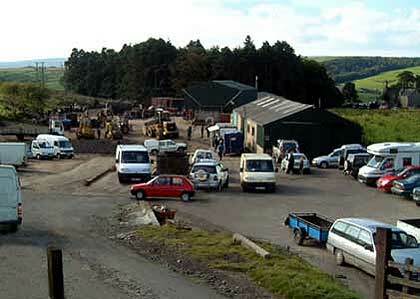 Blenkinsopp has been closed and reopened a few times in its history but I think this time its final. 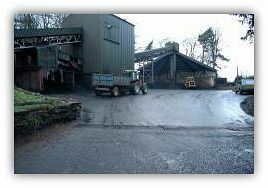 A TV news crew which has been covering the closure said it would be impossible to open another mine due to the cost. What makes it sad is the fact we were so close to getting to the reserves. £1 - £2 million seems so little considering you could be keeping 80+ men in work for a few years, maybe up to 25 years if the reserves were proved correct. 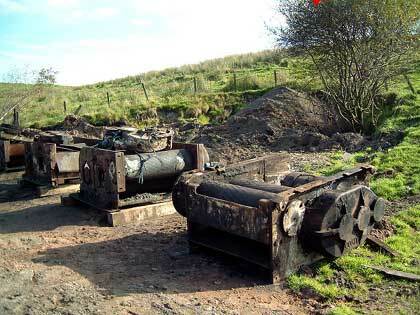 Blenkinsopp's main problem, and it seems absurd, but the mine was producing coal too cheaply. The cheapest coal in Britain if not Europe, I've been told. Yes the costs were going up due to the distance the mine had gone but mainly due to the fact of the numerous faults that we kept bumping in to but these would have got better the further we got in to the reserves. Their is nothing we can do I suppose but I have enjoyed my time and the men I worked with, some real characters. 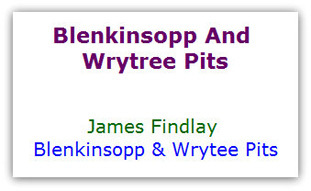 Funnily enough I still get snippets of information on Blenkinsopp. An interesting one sent from a mine owner at Alston, a part time rescue man called Clive Seal is doing some research on a book about the mines and railways around this area. 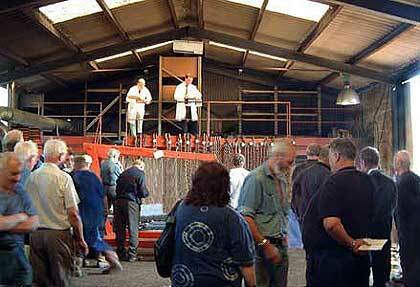 I've sent some photos of the auction which were taken by a man from Beamish museum. I have done a swap of my photos for his but he says they can only be used on the web if they have Beamish copyright and are of a low resolution. He has had a few visits to the mine and went underground twice. 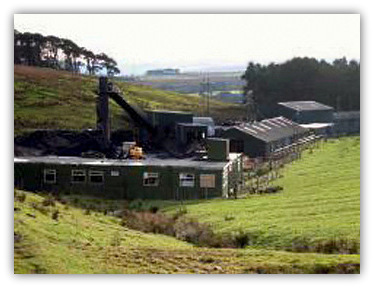 He has some great photos and some from the Smallburn shaft, which I have not been able to capture. Speaking of museums if you are ever passing this region go to Beamish it is a good place to visit with a coal mine you can go down. Others are at Killhope and Nenthead well worth taking a look. Another place is Durham Cathedral. If you ever go in, take a look at some of the stained glass windows which are dedicated to the Durham miners and has a book on show of all the miners killed in the mines of Durham. A bit hypercritical however as the bishop of Durham had striking miners hung up in his stables when the first strikes started!